Neon colored plastic coffins are filled with pressed candy bones. 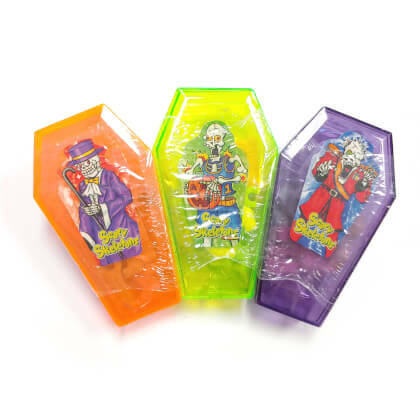 Each coffin comes with interlocking candy pieces to make a complete skeleton. Coffin height is approx. 4 inches tall and 2.25 across at the widest point.